Car Cash Point, the UK's Logbook Loan specialist has now joined the panel of Compare Logbook Loans. Compare Logbook Loans is the UK's number one price comparison website dedicated to logbook loans. On the site customers will find reviews and comparison tables of the best Logbook Loans in the UK. The site reviews price, maximum loan amount, available countries, maximum age of car, whether you need a credit check and all the other factors you need to think about before getting a logbook loan. Logbook loans are loans are secured against your car. There are a number of logbook loan lenders and brokers in the UK. This site provides a comparison table of logbook loans available from these companies. Car Cash Point Chief Executive Paul Hilburn said: "Car Cash Point are the UK's best value Logbook lender and is delighted to be working with Compare Logbook Loans to enable customers to see just how competitive our Logbook loans are. Compare Log Book Loans spokesperson: "We review the market looking for the best Logbook Loan products to offer our customers. The Car Cash Point Logbook Loan combines a market leading APR rate combined with a professional service. 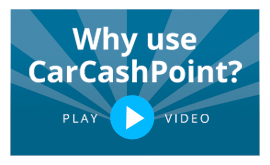 We are delighted to feature Car Cash Point in our preferred panel of lenders".